Disney has revealed the teaser poster of its live-action adaptation of its classic “Beauty and the Beast”. 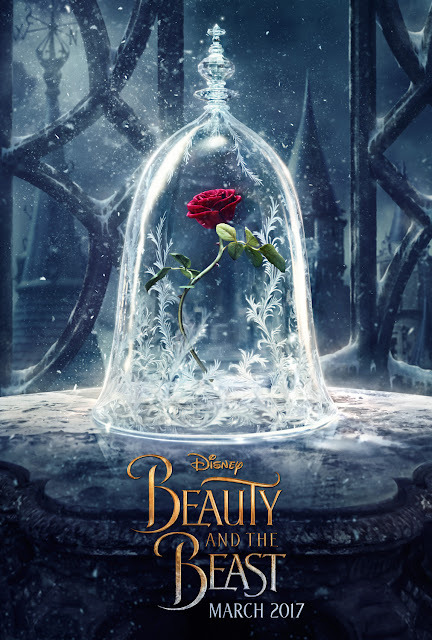 The poster is a simple shining light on the magical rose that's pivotal to the story. The film touts to be a re-telling of the studio’s animated classic which refashions the classic characters from the tale as old as time for a contemporary audience, staying true to the original music while updating the score with several new songs. “Beauty and the Beast” is the fantastic journey of Belle, a bright, beautiful and independent young woman who is taken prisoner by a beast in his castle. Despite her fears, she befriends the castle’s enchanted staff and learns to look beyond the Beast’s hideous exterior and realize the kind heart and soul of the true Prince within. Catch the poster right now. The film stars: Emma Watson as Belle; Dan Stevens as the Beast; Luke Evans as Gaston, the handsome, but shallow villager who woos Belle; Kevin Kline as Maurice, Belle’s eccentric, but lovable father; Josh Gad as Lefou, Gaston’s long-suffering aide-de-camp; Ewan McGregor as Lumiere, the candelabra; Stanley Tucci as Maestro Cadenza, the harpsichord; Gugu Mbatha-Raw as Plumette, the feather duster; Audra McDonald as Madame Garderobe, the wardrobe; Ian McKellen as Cogsworth, the mantel clock; and Emma Thompson as the teapot, Mrs. Potts. Opening across the Philipppines in March 2017, “Beauty and the Beast” will be distributed by Walt Disney Studios Motion Pictures International through Columbia Pictures. #BeOurGuestPH.